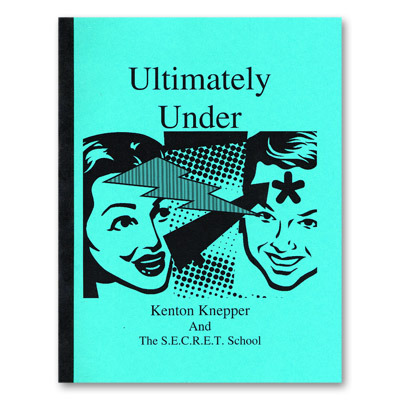 Today, when you order "Ultimately Under by Kenton Knepper - Book", you'll instantly be emailed a Penguin Magic gift certificate. You can spend it on anything you like at Penguin, just like cash. Just complete your order as normal, and within seconds you'll get an email with your gift certificate. 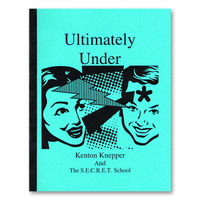 Kenton's new Ultimately Under does for hypnosis what Completely Cold has done for telephone psychics. Literally overnight you will get spectators to close their eyes, levitate their arm, see imaginary balloons and all manner of things - without stooges, hypnosis, or tons of practice. Spectator's hands get stuck to a table, they cannot move from a spot on the floor, their fingers seem glued together and more. No memorizing special hypnotic scripts or fancy words. No funny props required, though you may want to use your cell phone or make up a thing or two. Most of the effects can be performed up close, in a living room or on stage. Unlike what all the others teach you, Kenton tips how mentalists and magicians can use trance work TODAY without worry or failure. Forget being taught how to be a clinical therapist or stage hypnotist when all you really want to do is apparently put people under INSTANTLY while doing your usual effects. You learn how to do all of this and more right away. 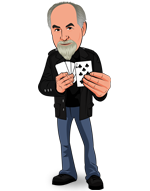 This work is for MAGICIANS AND MENTALISTS BY a renown MAGICIAN and MENTALIST. You don't need to be an expert in hypnosis when all you really want to do is show how you put people into a trance instantly. No dangerous methods, no difficult work. Read it today, perform trance effects with ease and complete confidence tomorrow! No worries, and no fear required.